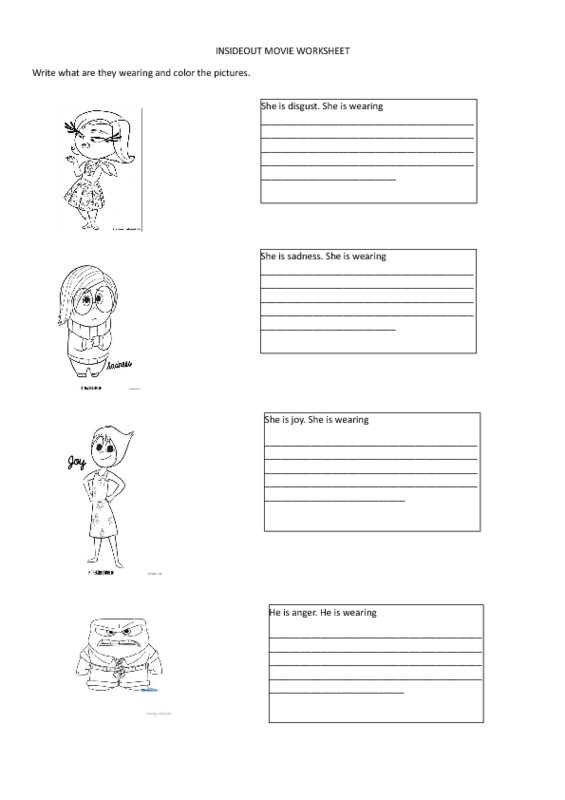 This worksheet is created for young learners. Here they must describe what the characters are wearing and color the pictures. After coloring they can describe their appearance and personalities too. You can have a discussion about the movie and talk about feelings with your students.